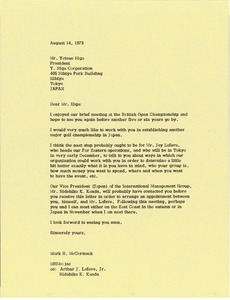 Writing on behalf of Gary Player, who enjoyed meeting with Ntlabati and his Christian ways. 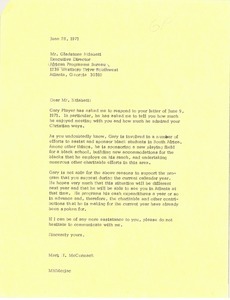 McCormack notes that Player is involved in efforts "to assist and sponsor black students in South Africa." 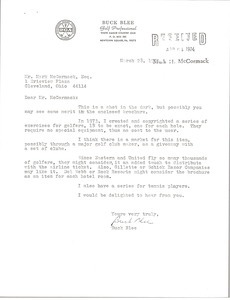 McCormack proposes three one-hour films titled "The World Invitational Golf Classic"(WIGC). 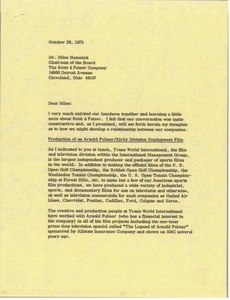 General format and costs of the project are provided as well as a list of proposed participants. 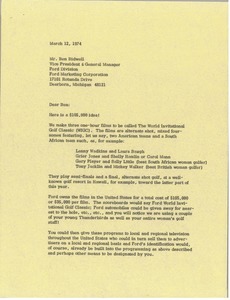 McCormack notes that the cost is low is due to an arrangement with the BBC in Britain and an arrangement to sell the films in Japan and other parts of the world. 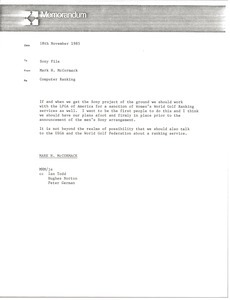 McCormack sets forth his thoughts on how they may develop a relationship between their companies. 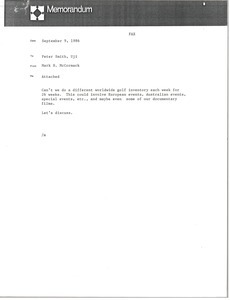 He pitches the idea of a production of an Arnold Palmer/ Kirby Division Employment film, a golf and tennis package for Scott and Fetzer President's council as well as an overall relationship between IMG and Scott and Fetzer. 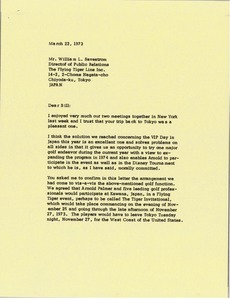 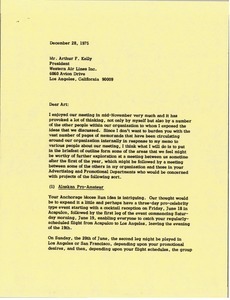 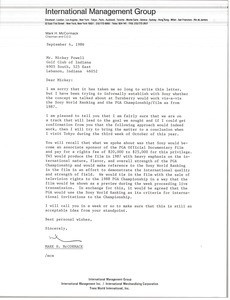 McCormack has been trying to establish the Sony World Wranking system, as well as the PGA Championship film with Sony.